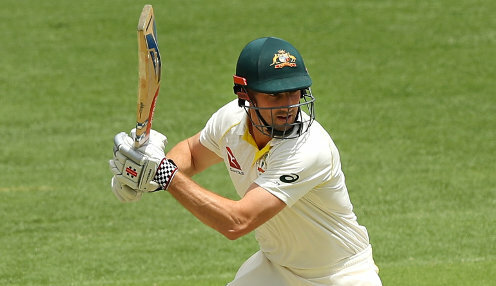 Batsman Shaun Marsh's season is over due to a shoulder injury. Glamorgan have suffered a double injury blow, which includes Shaun Marsh being ruled out for the rest of the season due to a shoulder injury. The 34-year-old Australia left-hander was injured while fielding in the Royal London Cup clash with Sussex at the weekend and subsequent scans mean he will be unable to feature again this summer in county cricket. The second part of the setback sees South African paceman Marchant de Lange sidelined for the remainder of the T20 Blast campaign, with the fast bowler yet to feature in the competition due to a hamstring problem. Director of cricket Hugh Morris told the county's official website: "Losing Marchant for the rest of the T20 competition and, in Shaun's case, the season, is a big blow. "Marchant was one of our best bowlers in the T20 competition last year and is an inspirational character in the dressing room, however, we have a strong bowling line-up and I'm sure we will be able to fill that gap with the players we have available. "As a proven international batsman, Shaun will leave a big hole at the top of the order and we are currently considering our options and are looking at options for replacing him for the rest of the season." Glamorgan have won one and lost one in the T20 Blast so far this season and are now 1212/1 to win the competition, with Worcestershire priced at 3/1 and Yorkshire 1212/1.